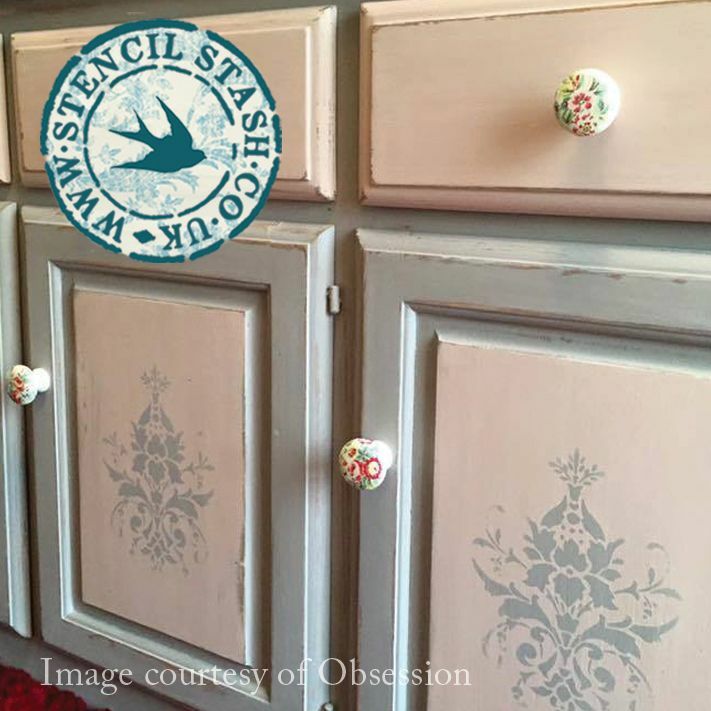 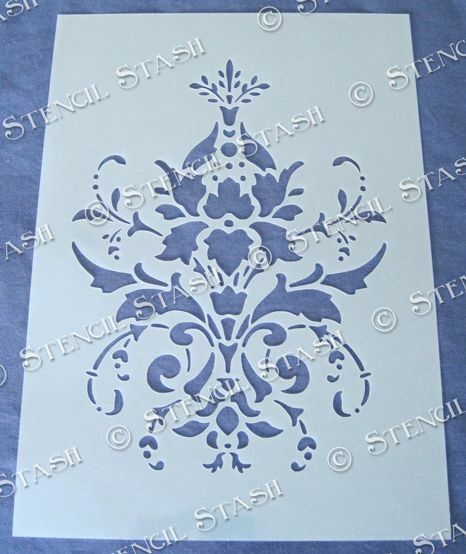 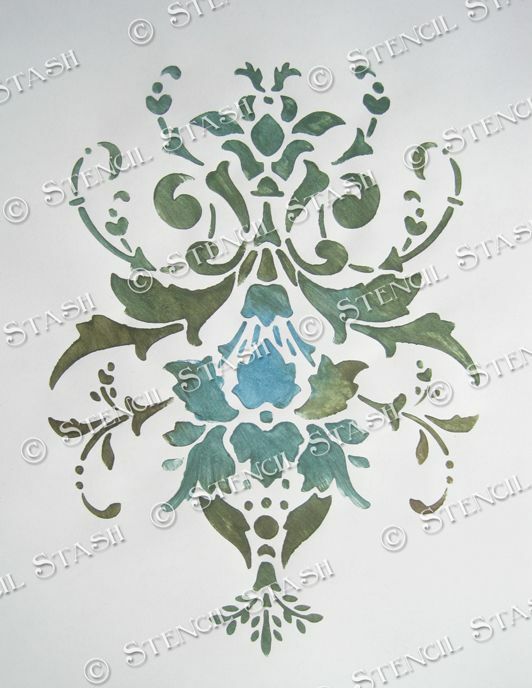 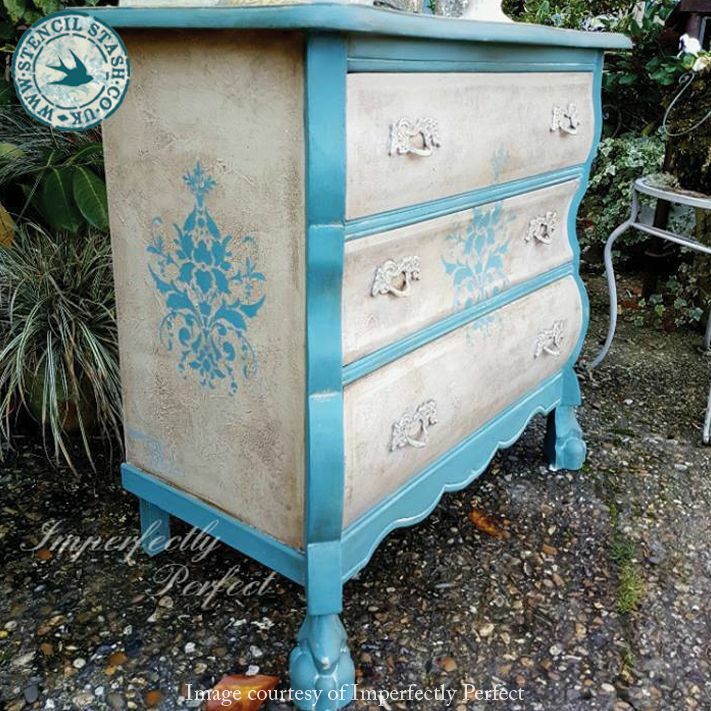 A pretty damask stencil, perfect for furniture and shabby chic projects. Can be used with plaster to create a raised effect. 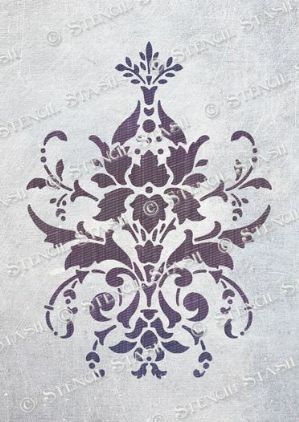 The A5 design measures w125 x h170mm, 5 x 6.5"
The A4 design measures w175 x h240mm, 7 x 9.5"
The A3 design measures w255 x h350mm, 10 x 13.75"